Can this be used in a toilet? No drain flies except when absent from home during summer months. Can spraying into toilet stop the life cycle of the larva? Spray on top of water? 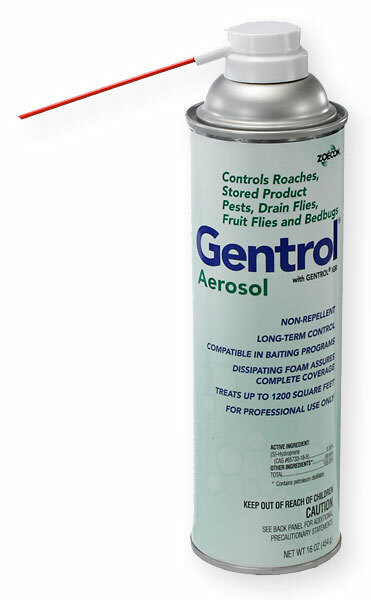 Gentrol works best when it is applied to an area where it is left undisturbed. It can be applied to drains and toilets, but has to be reapplied whenever the drain or toilet is used. So to answer you question, it could be used in a toilet, but would not provide good results. I would think that using bleach, cleaners, etc would be cheaper and more effective in a toilet (bowl). It could be used around the base and in the cracks or joints of the toilet with some success.